Patra, J., S. P, S., K. Dhal (India), N. (2016). Steam Explosion as the pretreatment method for ethanol production from orange peel waste. Iranian Journal of Energy and Environment; previously called: Iranica Journal of Energy & Environment, 7(3), -. J.M. Patra; S. S. P; N. K. Dhal (India). "Steam Explosion as the pretreatment method for ethanol production from orange peel waste". Iranian Journal of Energy and Environment; previously called: Iranica Journal of Energy & Environment, 7, 3, 2016, -. Patra, J., S. P, S., K. Dhal (India), N. (2016). 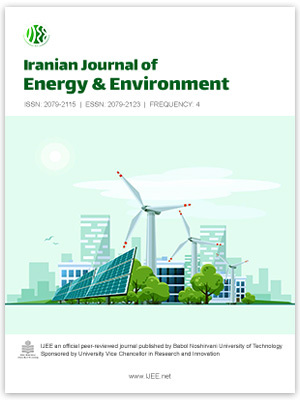 'Steam Explosion as the pretreatment method for ethanol production from orange peel waste', Iranian Journal of Energy and Environment; previously called: Iranica Journal of Energy & Environment, 7(3), pp. -. Patra, J., S. P, S., K. Dhal (India), N. Steam Explosion as the pretreatment method for ethanol production from orange peel waste. Iranian Journal of Energy and Environment; previously called: Iranica Journal of Energy & Environment, 2016; 7(3): -.